There have always been sharks waiting to feed off the dreams and wallets of new writers. Don’t be someone else’s lunch. Preditors and Editors has been been around since 1997, warning writers away from unscrupulous agents and editors, and Writers Beware has been maintaining an “extensive database of questionable literary agents, publishers, independent editors, writer’s services, contests, publicity services, and others” since 1998. Vanity Publishers, where writers pay lots of cash to see their work “in print,” have their own page on Writers Beware, due to the enormous cost and outrageous (unfulfilled) promises of vanity publishers, not to mention outright fraud and unethical practices. I met one of the poor souls who got taken in by a Vanity Press at a local class on publishing. She zoomed in on me because I was the only one in the class with a published (small press) novel. She had mortgaged her house to pay $10,000 to publish her memoir, only to be saddled with boxes of typo-ridden, over-priced hardcovers. She shook one of them at me, Exhibit A in the trial she wanted to put the vanity publisher through. She was angry. And she had every right to be—they hadn’t just stolen her money, they had soiled her dream. When self-publishing went mainstream—i.e. when people started making money at it—the sharks multiplied. Many became sharks in tuna clothing, with all kinds of “respected” writerly establishments starting “self-publishing” divisions that were really Vanity Publishers. Actually all these little sharks were part of one larger shark. They were white label versions of the King of Vanity Publishers, Author Solutions (i.e. Author Solutions is behind the scenes, providing the services). As David Gaughran details on his blog, this isn’t Big Six Publishers making a “progressive” move into indie publishing; this is Big Six Publishers trying to monetize the slush pile and make money off writers (Penguin Random House Merger Helps Author Solutions Exploit Writers). (Also: Author Solutions is now in two class-action lawsuits (here and here) for deceptive practices among other things). In January 2016, Penguin announced it was selling off Author Solutions (guess that wasn’t such a good idea, either!). However, Penguin is still in the vanity business with it’s imprints Partridge India, Partridge Singapore, Partridge Africa, and MeGustaEscribir… where Author House operates these vanity publishers on the behalf of Penguin. In a business where authors traditionally have had to accept lousy contracts and low royalty rates just to be in the game, getting taken advantage of may seem the price of doing business. At the same time the sharks were in a feeding frenzy, a thriving marketplace of freelancers sprung up to supply indie publishers with much-needed and valuable services (see Appendix A—List of Freelance Providers). These legit freelancers—editors, cover artists, formatters—will make your life easier; in fact, these amazing, talented people will be a key part of your self-publishing team. But the first step in surviving as an indie author is getting street-savvy about who are the legit business people and who are the snake-oil salesman. · Flat rate vs. percentage: legit business people are not asking for a percentage of your business forever. They know they are providing a one-time service. · Know the going rate: the indie author world is fantastically open about prices and thrives on a culture of information sharing. Ask for recommendations. Educate yourself with ebooks like this. The information is out there, you just have to look. There are times when you’ll want to DIY (Do It Yourself), and times you’ll want to outsource (to a freelancer or business offering services). Sometimes it’s faster to outsource, even if you have the skills to do it yourself, and sometimes you could learn the skills, but you’d rather spend that time writing. In all cases, it helps to know the range of reasonable rates, so you can avoid the sharks. Sharks: Custom Quote – they won’t even tell you how much. Not a good sign. Note: If you DIY, your author copies are free (which is important for giveaways and reviewers), but the sharks will charge you for copies of your own book. 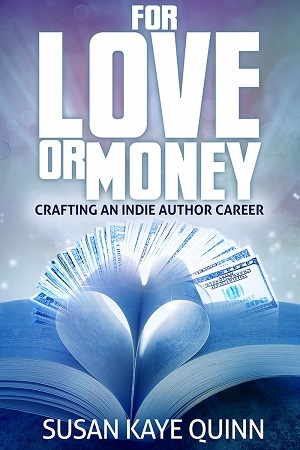 For indie authors, ebook royalties are your bread and butter. Don’t give all your royalties (forever!) to a vanity publisher for the simple, one-time act of putting your book up for sale. But I Don’t Know Any Cover Artists or Editors! 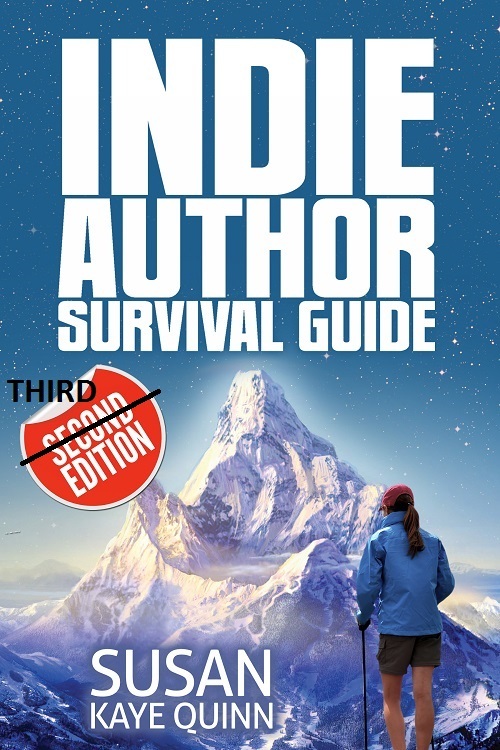 If you don’t know how to find cover artists, or the idea of formatting ebooks makes your eyes cross, or you don’t know the first place to start to upload your ebook… don’t panic. Now that you have this little ebook in your hands, you will know how to do all this and more. Plus I’ve provided a list of freelance service providers (see Appendix A—Freelance Service Providers) in this book. There are a few that I can personally recommend, but for any freelance editor/cover designer, you need to do your due diligence in making sure they’re the right fit for you and your work (see Hiring Your Team). Don’t let your lack of knowledge about these fundamentals of your ebook-publishing-business make you dive into a tank of sharks. Don’t let the sharks eat all your royalties before you earn them just because you think they have specialized knowledge you can’t possibly acquire. And these things are fundamental to your new business. Be brave and learn them. It’s not rocket science (believe me, I know the difference). 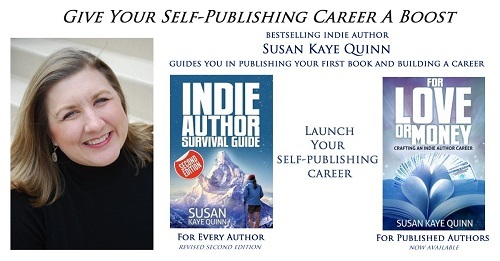 Then you’ll be on your way to being a savvy indie author who side-steps the Sharks to find the talented Angelfish freelancers who will make your business thrive and your life easier.